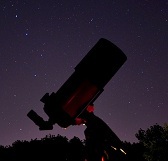 Image credit & copyright: Mike Ince. Hiking alone or with one or two other people for long distances at night in the middle of nowhere is an incredibly rewarding yet spine tingling experience. While your eyes can play tricks on you, your ears can be downright cruel. Every squirrel sounds like a bear for a second, I swear. 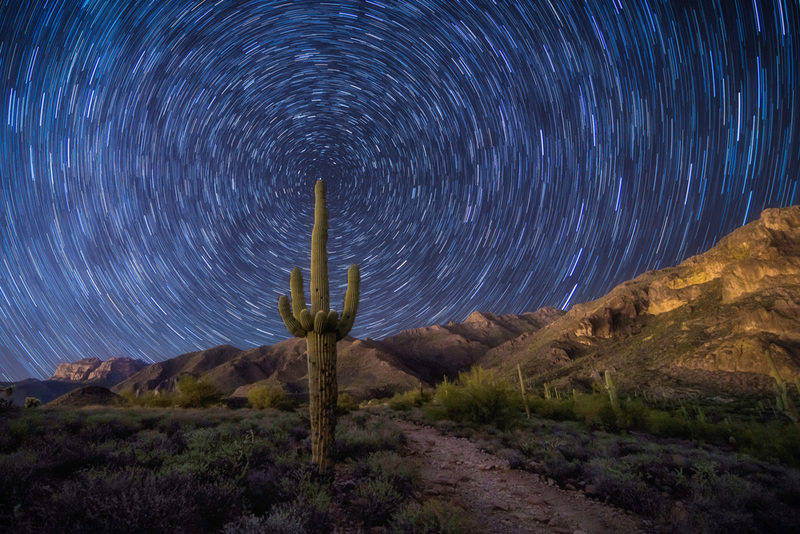 This beautiful set of startrails comes to us via Mike Ince after a night hike into Arizona’s Superstition Mountains behind Gold Canyon. Startrail photography is great because depending on where you set up, you get a different look to the image. If you’re shooting north like Mike did here, you get these beautiful circular trails centered on Polaris the North Star. Just to digress for a moment because I still hear this prom people all the time. The North Star (Polaris) isn’t the brightest star in the night sky; it’s actually around the 48 or 50th brightest stars as we see them from Earth. The brightest star belongs to the Dog Star, Sirius which is easily seen in the winter in the constellation Canis Major near Orion. It’s of importance because its due north which helps with outdoor night navigation, aligning our telescope mounts and creating amazing images like these. I hope you all like this image and check out more of Mike’s work! Image | This entry was posted in Astrophotography (Wide Field), Images, StarTrails and tagged Arizona, Astronomy, Astrophotography, AZ, Gold Canyon, Mike Ince, Space, Star Trails, Startrails, Superstition Mountains. Bookmark the permalink.